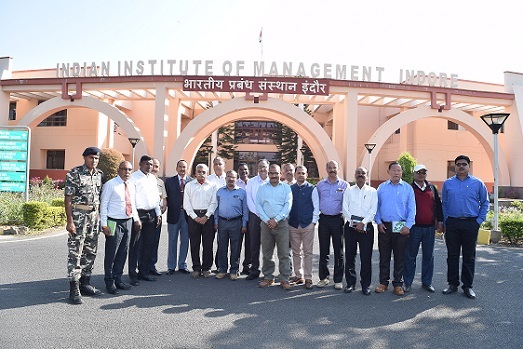 Officers of Sashastra Seema Bal (SSB), who are undergoing Executive Officer Course at SSB Academy, Bhopal visited IIM Indore on November 13, 2018. 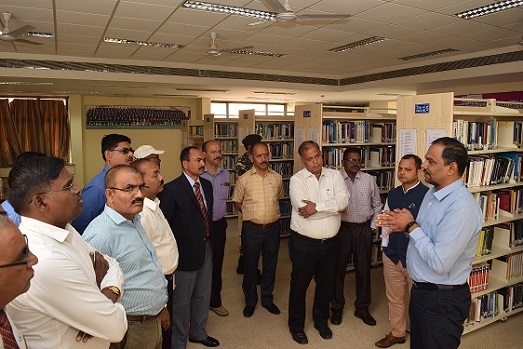 This visit was a part of their study tour to the Institutes of national and international repute to learn about the courses being offered, infrastructure set up and various facilities available. Thirteen officers of SSB lead by Mr. Rajesh Kumar Singh, Dy. Commandant visited the Academic Block, Institute’s Learning Centre, Sports Complex and the cricket stadium. 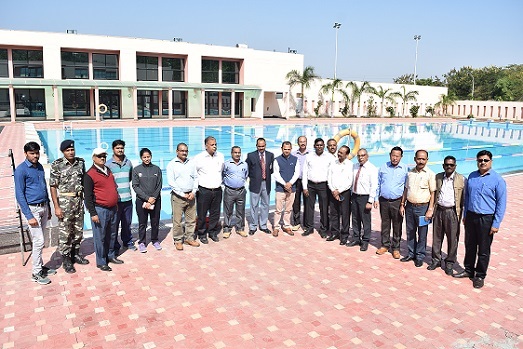 He said that IIM Indore is one of the top Institutes of the nation and the visit will help the officers to develop similar facilities once they go back to their respective units. 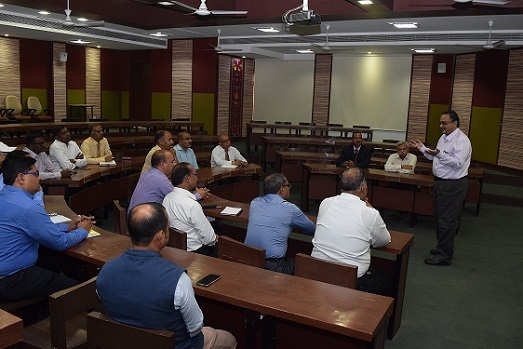 Professor D. L. Sunder, Dean (Planning and Development), IIM Indore interacted with the officers and informed about the courses offered, pedagogy and teaching methodology followed. He also shared points as to how the IIMs are unique in comparison to the universities. He also spoke about the various initiatives taken up by the Institute along with various recent activities held at the campus. 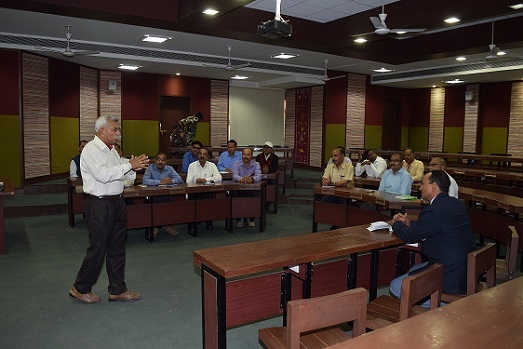 Colonel Gururaj Pamidi (Retired), Chief Administrative Officer, IIM Indore, briefed them about the courses offered, the facilities available, the infrastructure details and various aspects such as placement statistics, fee structure and admission procedure. He then presented the visiting delegation with a memento, as token of remembrance. 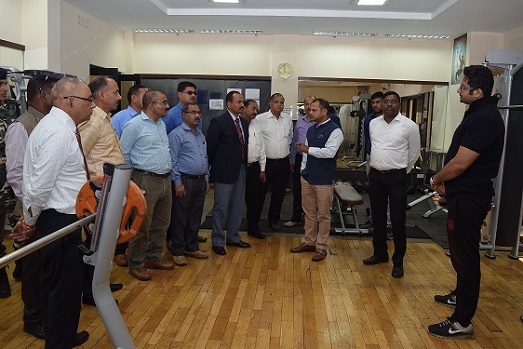 On behalf of IIM Indore, Mr. Ajaya Dash, Officer (EPGP) coordinated the visit.